Women in Aviation, York College/ CUNY Chapter is organized exclusively for educational, professional development and opportunities purposes. The Women in Aviation Student Chapter at York College of New York will be in the forefront of promoting the advances of women in aviation through its collaboration with the CUNY Aviation Institute at York College and Women in Aviation International. 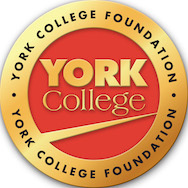 The aim of this Chapter is to foster interest and understanding among the students and faculty in the accomplishments and contributions of women to the aviation industry, to encourage students to look for internships, scholarships and network within the aviation industry, and to support York College and Women in Aviation International in their efforts to promote aviation initiatives.